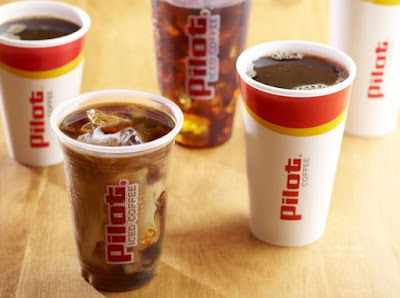 Pilot Flying J will be celebrating National Coffee Day with a free coffee of any size on September 28 to 29, 2018, via the myPilot mobile app. Available coffee choices include new cold brew, bean-to-cup (ground and brewed to order) coffee, and the limited-time Pumpkin Caramel Macchiato. You can find the coupon for the offer under "myOffers" in the myPilot app (you'll need to download it if you don't have it). It can be redeemed at over 750 Pilot and Flying J Travel Centers in North America.